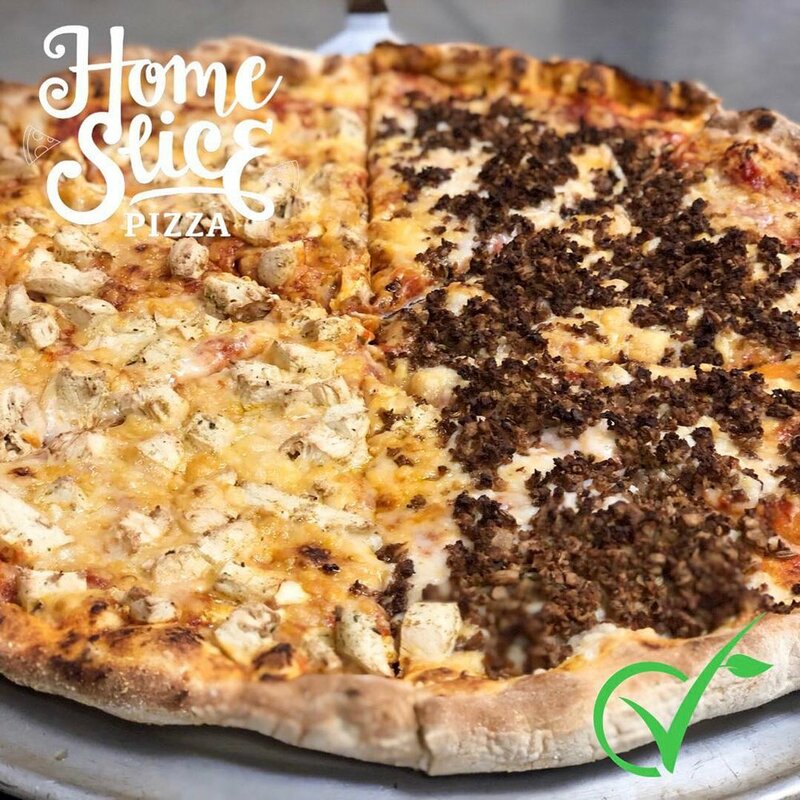 Home Slice Pizza is the first pizza spot in Chattanooga to take vegan slices seriously, offering not only vegan cheeses but multiple plant-based protein options, appetizers, and desserts. They’ve got a full vegan menu that’s not pulling any punches with pies like the Vegan Buffalo Chick-Un or the Vegan Curry-Licious as well as desserts like Deep-Fried Oreos. In addition to these sweet eats, HS has committed to taking veganism seriously with a thorough rundown of their kitchen environment and processes (see below). 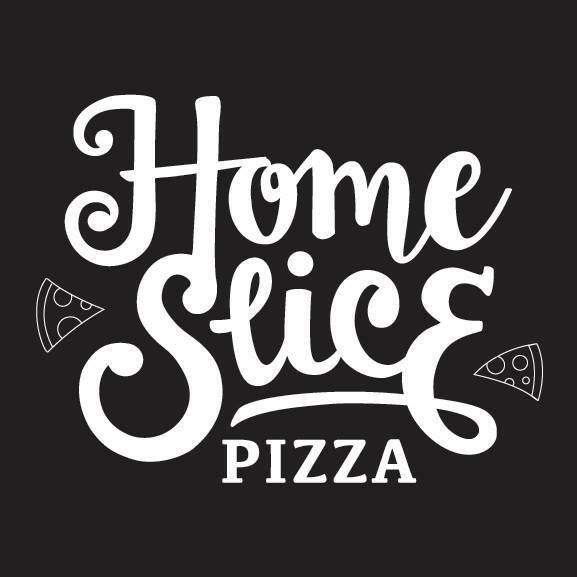 So go hit up Home Slice in their newly remodeled dining area, or take it easy with some Netflix and order delivery now! In order to avoid cross contamination, all vegan pizzas are prepared at a separate make station. This location varies by the amount of orders we receive. If not very many are coming through, all vegan orders are prepared in our walk-in cooler, with separate sauce containers, and all toppings are pulled directly from the prepped topping pans in the cooler, to avoid any cross contamination that may occur once the topping pans make it to the regular make line. If we’re experiencing a higher volume of orders, the vegan sauce, cheese, and meat replacements are moved to a make table separate from our regular one, while the toppings are still pulled from the otherwise untouched topping pans in the cooler. These procedures allow for a completely separated environment from our regular, non-vegan pizzas and toppings. We then have a spatula specifically for vegan pizzas, and only use that to remove vegan pizzas from the oven, which are then cut with a blade specifically for the vegan pizzas. Both the blade and the spatula are clearly labelled, and the vegan spatula is much larger, and cannot be mistaken for the one for regular pizzas. The pizzas are cut directly on the spatula, and never touch the surface of the end station where pizzas are boxed. Regarding items like the cauliflower wings, fries, tater tots, and Oreos, we use an entirely separate fryer than the one used for wings and non vegan items. All staff (7 total) have been fully trained and are fully aware of these procedures, as well as the owners, who I have personally spoken with about ensuring these procedures are met. Our staff currently has one vegan, two vegetarians, and a friend/former coworker of Your Local Seitanist, who all are extremely adamant about making sure these procedures are followed and cross-contamination is avoided.